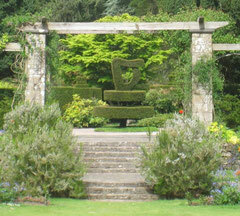 There are two harps at Mount Stewart – a concert harp in the Music Room and a topiary harp in the Formal Gardens. This piece is about the topiary harp. 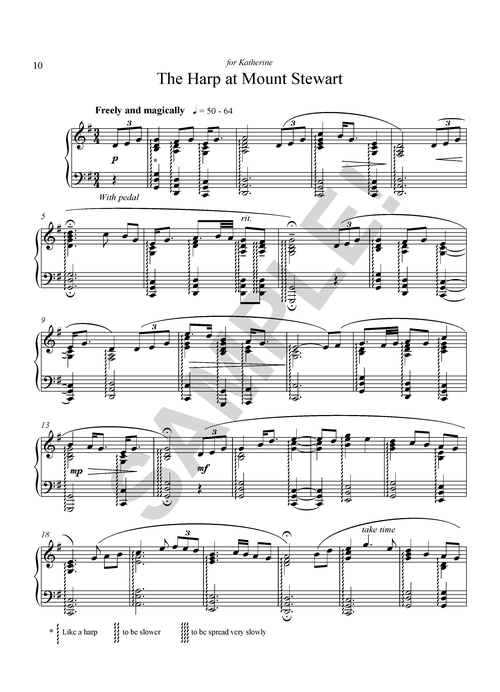 The Shamrock Garden, in which the harp is the centrepiece, portrays the mythical history of Ireland and this piece is, in essence, a mythical harper’s tune, with its 4 + 3 bar format. It was inspired by the playing of the Irish harpist Maire Ni Chathasaigh, of a 17th century piece of Irish harp music, ‘Molly St. George’ by the harper Thomas Connellan.